Kentek’s Trap-It™ laser beam dumps cover a broad spectrum of laser applications and handle them all with unparalleled safety. 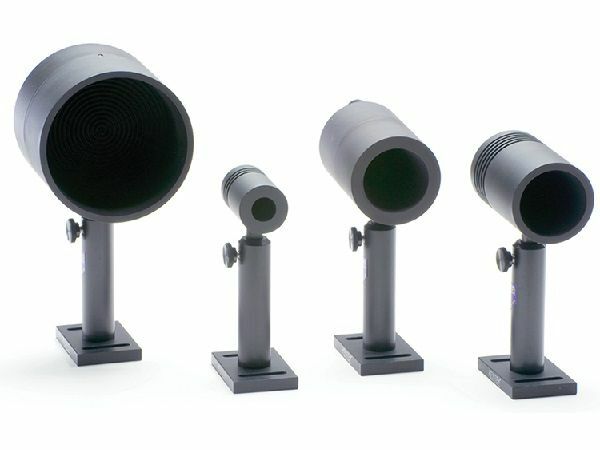 TRAP-IT™ Laser Beam Dumps are available in a variety of sizes in convection or water cooled models, and can be used with any type of laser. An adjustable stand for optical table mounting is also available. Trap-It™ laser beam dumps utilize a dual cone design to eliminate harmful radiation reflected out of the beam dump. 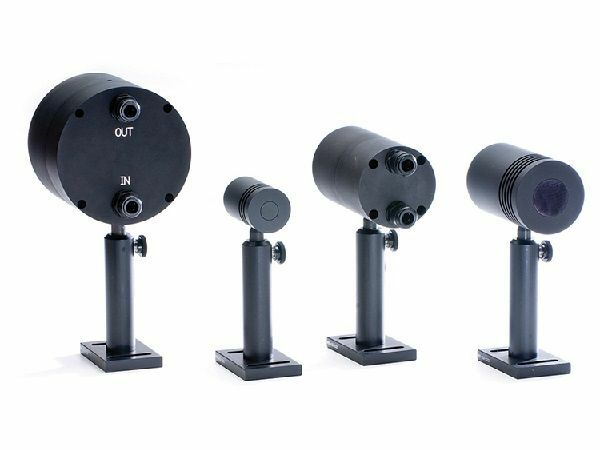 Trap-It™ laser beam dumps are available with varying aperture diameters, up to 4", to accommodate the largest diameter beams in the industry. Choose a beam dump that fits the maximum average power of your laser. CW Laser: Any output over 50 watts, choose a water cooled Trap-It™. Pulsed Laser: Multiply the single shot energy by the Rep. Rate to give you the average power. (example: 4.5J per pulse x 100 Rep. Rate = 450 watts). Q-Switched Lasers: The black, non-reflective coating may be damaged after long exposure. Trap-It™ beam dumps are designed not to reflect the beam outward even if the non-reflective finish has been eroded by exposure. Next day delivery for UK webshop orders received before 2pm, subject to stock availability. All prices shown exclude VAT and delivery. © 2019 Laser Physics Limited.